Leveraging on our extensive industrial experience, we are counted among the most eminent suppliers and traders of a technically advanced array of RF ID Card & Reader. 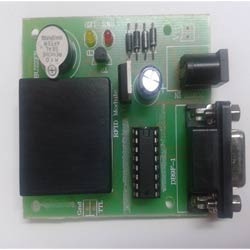 Under this category we offer RFID Reader, RFID Card, Rfid Reader/Write Module (Uart Interface) and Low Cost RFID Reader Module for meeting varied application needs of the customers. All these products work on the modular technology and are highly capable of processing secret tags & codes in readable data. 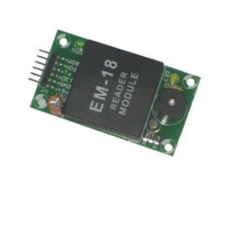 Our organization is engaged in providing a spectacular range of RFID Reader/Write Module (Uart Interface). These modules are designed as per the market requirements and set industrial standards by using latest technology. Clients can avail this range in numerous specifications at market leading prices. Use industrial-grade high-performance processor, built-in hardware watchdog, with high reliability. Anti-jamming processing and excellent EMC performance. 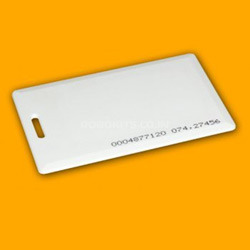 We are instrumental in catering the customers with Low Cost RFID Reader Module at market leading prices. This module works on an excellent frequency of 125 KHZ and comes with an inbuilt antenna. 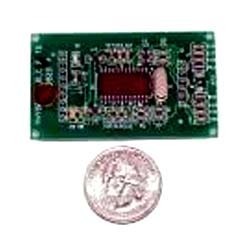 Designed in accordance with the set industrial standards, these low cost RFID reader modules have both weight and serial output. 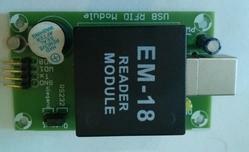 This board uses the EM18 RFID Module. It can be used to read our RFID cards. Using the board with micro controllers to read a card's data is very simple and required just a serial connection. The board should be powered at 5V, and it requires a direct connection to the micro controller's Serial Rx pin. The card data is transmitted over the serial line when the card is brought near the module. The board has an onboard power indication LED, a LED and Buzzer to indicate the presence of a RFID Card. All the IO pins are brought out to standard clearly labeled header pins, which simplify prototyping time and effort. An output pin (DET) also indicates the presence of a RFID card. The board can also be used to output data in Wiegand format. It can detect cards in the range of 8-10cm. 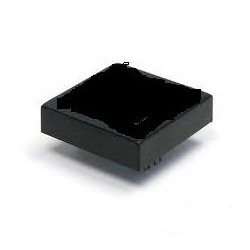 This is a low frequency (125Khz) RFID Reader With Serial Output with at range of 8-12cm. It is a compact units with built in antenna and can be directly connected to the PC using RS232 protocol.This product is a kind of play and plug device with a reading range of 8 to 10 cm and can be availed in the following specifications. This is a plug and play USB RFID Reader. It can be used to read our 125kHz basedRFID cards. Just connect the reader to the USB port and it creates a new COM Port on the computer. When a RFID card is brought near the Reader, the card's data is output using in ASCII through a simple USART interface. Since most programming languages allow access to COM ports, it is simple to write custom software programs to read RFID cards and process them as required. This board can also be used with microcontrollers to read card data. This reader is perfect for developing RFID based products and projects. The reader has an onboard power indication LED, a LED and Buzzer to indicate the presence of a RFID Card. The reader can also be used to output data in Wiegand format. It can detect cards in the range of 5-15cm.